[post_content] => A third of adults would consider using complementary or homeopathic remedies and one in six are already using alternative methods to help with illness, according to a survey of spending on health. The poll, commissioned by 4Homeopathy to mark Homeopathy Awareness Week, also found that people already using homeopathy and other alternative treatments and therapies are spending £31.98 a year on them. A spokesperson for 4Homeopathy - the alliance of homeopathy organisations of which the Society of Homeopaths is a member -  said the poll findings were very positive. “Looking after your health is one of the most important things you can do. There are so many ways you can dedicate funds to improve your health and wellbeing, and we are encouraged by the results of the study which indicate many Brits would be open to alternative therapies in the future. Mark Taylor, Chief Executive of the Society, said the survey results reflected people’s desire to seek out alternatives to conventional medicine to enhance their wellbeing, both physical and mental, at a time when wellbeing was becoming a key concern. The survey by OnePoll.com also found that looking after one's basic health in total costs British people £1,091.26 each year  - or more than £65,000 over the average 60-year adult lifespan. On health and wellness generally, seven in 10 people surveyed said they thought about the state of their health on a regular basis, with the average adult visiting the GP three times a year. Men are more likely to spend money on vitamins, protein powders and exercise supplements to stay healthy, while women prioritise spending on healthy foods. One in 10 have put off visiting their doctor in case it resulted in a costly diagnosis they would struggle to afford. Londoners are most likely to fret about the state of their health, while those living in North-West England are the most relaxed about their physical wellbeing. 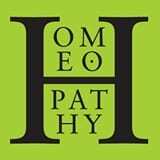 Homeopathy Awareness Week runs from April 10 – the birthday of homeopathy founder Samuel Hahnemann – until April 16. A third of adults would consider using complementary or homeopathic remedies and one in six are already using alternative methods to help with illness, according to a survey of spending on health. The poll, commissioned by 4Homeopathy to mark Homeopathy Awareness Week, also found that people already using homeopathy and other alternative treatments and therapies are spending £31.98 a year on them. A spokesperson for 4Homeopathy – the alliance of homeopathy organisations of which the Society of Homeopaths is a member – said the poll findings were very positive. The survey by OnePoll.com also found that looking after one’s basic health in total costs British people £1,091.26 each year – or more than £65,000 over the average 60-year adult lifespan.